Kaduna-based Afro Hip Hop artist, Mckenzy is about to trend again after topping charts with his last single he entitled in Tiv speaking language, "Orne De" which means "Bros Chill". The Krock City rapper is on course again to dish out another single titled; "Gimbiya" an Hausa word which means the daughter of a King. The rapper who teases the cover art of the song yesterday via his twitter page, confirmed that the song will be released on October 12th. 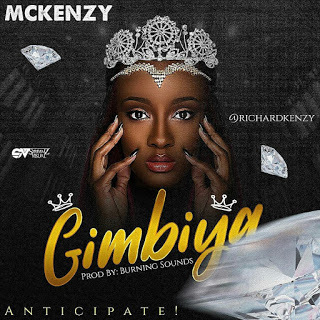 See tweets below: via @Richardkenzy "And finally the long anticipated single #GIMBIYA set to premier on 12th October 2017.. Show love Use hash tag #GIMBIYA McKenzy".